Men between the ages of 55 and 69 should talk to their physicians about the potential benefits and harms of prostate cancer screening, according to new guidelines issued May 8. The guidelines, published in the journal JAMA, come from the U.S. Preventive Services Task Force. They replace guidelines published in 2012 that recommended against routine screening, as benefits did not outweigh the expected harms. 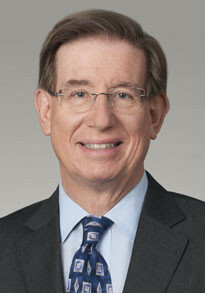 Dr. Grossman, also a senior investigator at Kaiser Permanente Washington Health Research Institute, served as chair of the Task Force for nine years. He completed his term in March. New evidence from randomized clinical trials shows that testing for the prostate-specific antigen (PSA) in men 55 to 69 years of age may prevent three cases of metastatic prostate cancer and 1.3 deaths from prostate cancer for every 1,000 men screened. The newest guidelines also apply to those men at highest risk of prostate cancer, such as African-American men and those with a family history of the disease. The Task Force also considered new information on active surveillance, which is an increasingly common way of monitoring prostate cancer that may allow some men with low-risk cancer to delay or even avoid treatments with radiation and surgery. The guidelines highlight the potential harms from screening. These include frequent false-positive results and overdiagnosis. Treatment for prostate cancer can also result in erectile dysfunction and urinary incontinence. According to the guidelines, about one in five men who undergo radical prostatectomy develop long-term urinary incontinence, and two in three men will experience long-term erectile dysfunction. For men age 70 and older, the Task Force recommends against screening for prostate cancer, because the benefits diminish as men age and the harms are greater. To provide these recommendations, the Task Force reviewed the evidence on the benefits and harms of PSA-based screening for prostate cancer and subsequent treatment of screen-detected prostate cancer. The group also commissioned a review of existing decision analysis models and the overdiagnosis rate of PSA-based screening. May 15, 2018 "Georgia State: Complex Price Relationships Influence Nicotine Product Purchases" May 15, 2018 "Johns Hopkins: Many Airbnb Venues Lack Basic Safety Protections, New Study Suggests"